Sometimes personal financial struggles can be unpredictable and leave you in a challenging situation. Other times, changes in the economic climate may also drastically affect you and your family, to no fault of your own. Regardless of why or how you’ve been put in a tough spot monetarily, the smartest thing you can do is prepare yourself as best as possible, so it doesn’t happen again. This will likely include steps such as gaining a better understanding of your financial risks and diversifying your investments with smart purchases, such as gold bullion. To get started, first it’s imperative to understand which financial situations may affect you in the future. Then, protect yourself financially with our four helpful tips. Let’s begin! Before you begin making changes to improve your current finances, it’s important to understand common factors associated with financial hardships. You may be surprised at some of the top reasons people struggle financially and what typically causes bankruptcy. The clearer you are about your financial risks, the better you’re able to protect yourself. According to a Harvard University study, medical expenses account for roughly 62 percent of personal bankruptcies in the United States. Most alarming is that the same study indicated that 72 percent of those who filed for bankruptcy had health insurance at the time. Another common reason people struggle financially is the unexpected loss of a job or a significant cut in pay. In fact, most American families are just one paycheck away from home foreclosure or homelessness. If you’re drowning in student debt, you’re not alone. Statistics show that approximately one million people default on their student loans every single year. According to Embracing Carers, millennials spend approximately 27% more of their incomes on caregiving (for their parents) than other generations. Business Insider reports that the average cost of elder care can range from $18,000 to $91,000, depending on the level of care provided. Now that you’re aware of some of the biggest financial burdens people commonly face, you can begin exploring how to protect yourself for the future. We’re covering it all, from remaining calm and logical, to investing in smart physical assets such as gold bullion. There are many ways someone is able to plan for their financial future. Making smart investments (for example, with assets such as gold bullion) is a fantastic strategy for building wealth steadily over time. Explore four beneficial tips for a bright financial future. First, try to remain calm, even if your financial situation is currently challenging. Remember that you have many options to gain wealth, and the best way to change your financial future is by doing adequate research and making logical and proven investments. Also, keep in mind that the more practical you are with your investing strategy, the better. Look to tried and true investments that have held their value over the years, such as gold bullion, rather than flashy, new opportunities that may pose a financial risk. While other forms of currency continuously fluctuate in value, gold bullion remains stable. Keep in mind that it’s much smarter to invest in something that’s steadily on the rise, than to gamble on something more volatile and unpredictable (such as Bitcoin, for example). There’s currently no way to print gold bullion into existence, meaning it’s a resource that’s monitored closely, unlike paper money. This is just one reason that gold is such a smart investment. Historically, when traditional stocks have tanked in value, the gold bullion price has risen, due to investors pushing their money into precious metal assets after a market crash. Rather than gambling your money on unreliable investments such as traditional retirement funds or 401k options, consider investing in precious metals. When you consider various investment types, it’s important to see what the experts have invested in. Did you know that financial institutions around the globe, such as banks, have been buying gold bullion and other precious metals for years? This proves that gold will continue to hold its value and retains its importance for years to come. The same cannot be said for other types of investments, unfortunately. Additionally, keep in mind the demand to supply ratio of your investments. 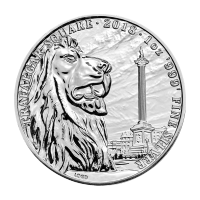 Today, society is using precious metals at a rate faster than ever before. Gold and silver are commonly used in electronics, medical devices, jewelry and more. The fact is, gold miners are unable to keep up with the demand, making it a desirable investment due to its scarcity. This is why collectors and investors are buying mass quantities of gold around the world, to ensure they get in on the investment opportunity while they can. Ultimately, gold bullion is a smart asset that allows people to invest in something that has continued to hold its value over the years. 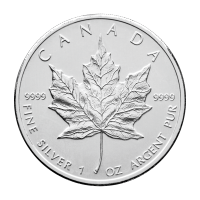 When the stock market plummets and people lose years of their retirement savings overnight, an investment in gold and silver gives you something to fall back on that doesn’t rely solely on the paper monetary system. Furthermore, in the event of an emergency, natural disaster or another scenario, you’re able to easily take your gold bullion with you. This simply isn’t the case with other investment types, such as real estate. Wouldn’t it be nice if your investments were within your (physical) reach? So, which types of gold bullion should you invest in? There are many to choose from, so it generally boils down to personal preference. Let’s explore some of the most common forms of gold, below. There are several types of gold that you can invest in, from gold bars, rounds, coins, wafers and gold jewelry. 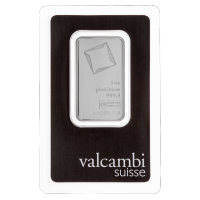 Shop for gold bullion that strikes your interest and catches your eye most. Consider some of the most common forms of gold, which we’ve outlined below. Gold bars generally cost less than gold coins or rounds, due to the lower fabrication cost. Bars are produced by both government mints as well as private mints. They typically range in size from as small as 1 gram, all the way up to 400 oz. 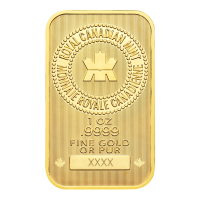 When you buy gold bars online, they typically carry serial numbers. Serial numbers can be useful if the gold bars are being held in a trust or in allocated, segregated storage. 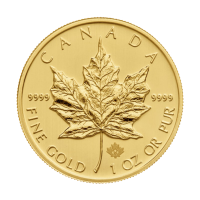 Gold rounds can be purchased in sizes from 1/10 oz and up and are produced by private mints. 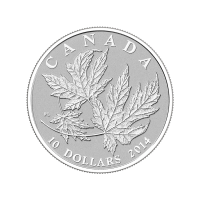 It’s important to note that they do not carry a face value and cannot be used as legal tender. Silver Gold Bull carries several high-quality options for investors who are looking for gold rounds. Investors can buy pure gold coins in sizes ranging from 1 gram to 1 kg. 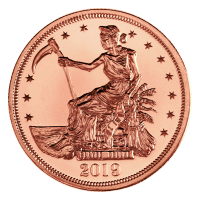 Gold coins are produced by government mints and have a face value. They do typically have a slightly higher premium than gold bars due to the extra fabrication costs involved in the production. If you’re looking to diversify your financial portfolio and invest in a reliable asset this year, gold bullion is a great option. An investment in the stock market can be unreliable and fluctuate greatly, whereas the value of gold has remained steady, year after year. Certain types of gold also have the benefit of being legal tenders of currency. Additionally, gold coins, bars and jewelry are easy to transport while traveling and can be stored conveniently. If you’re looking for a tangible physical investment that you can see with your own eyes and handle whenever you want to, gold bullion is the answer. 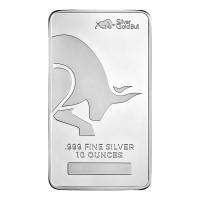 Silver Gold Bull is the leader in silver and gold bullion online. Explore new and exciting investment opportunities today. If you have any questions, our experienced customer support team would love to help.